It’s easy to tell when your windows need to be repaired, restored or replaced, right? Not always. 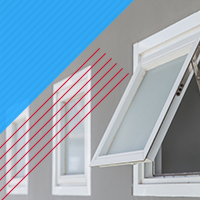 The truth is that not every window problem will be obvious, and it’s only easy to tell when to get your windows serviced when you know how to understand what your windows are trying to tell you. Since your windows can have a huge impact on everything from the look of your home to how efficient and secure it is, it pays to be vigilant and get any window problems you may be experiencing corrected right away. But, that is easier said than done because, like we said, not every window problem is obvious. That’s why, in our last blog, we went over a few common things your windows may be trying to tell you. Keep reading to learn more. Sign #4. The windows have become difficult to open. Have your once easy-to-open windows become nearly impossible to open? If so, it’s important to know that the problem at hand will depend on the type of windows that you have. If your windows are in wood frames, then rising humidity levels can make the wood swell, which can make the windows extremely difficult to open. In this case, the best solution might be to carefully sand your windows down a small amount to make them easy to operate regardless of the humidity. If your windows are in vinyl frames, then the springs used to make these windows easier to open and close may be faulty and in need of replacement. Sign #5. There is a draft coming from your windows. Does your home feel drafty and uncomfortable, regardless of what you set the thermostat on? If the draft is coming from your windows, it could mean that either the weatherstripping on your window or the pane itself should be replaced. If the weatherstripping has become loose, chunks have gone missing or it has started to peel, you can correct the problem by simply getting the weatherstripping replaced. But, if the problem is coming from the window itself, you may need to have it replaced, or at the very least, apply a solar window film to it to reduce the heat loss. Sign #6. You have casement windows, and they are difficult to open and shut. If you have to be John Cena in order to summon the strength to actually open and close your casement windows, then there’s a sure sign that something is wrong. There are multiple moving parts in the tracks of casement windows, and in order to keep them running smoothly, they need to be properly cleaned, lubricated and replaced as needed. You should also check that no debris is blocking the window’s path in the track. Additionally, applying a lubricant to the window’s weatherstripping may also help, as it can become sticky and make it difficult to open the sash. Listen to what your windows are trying to tell you. 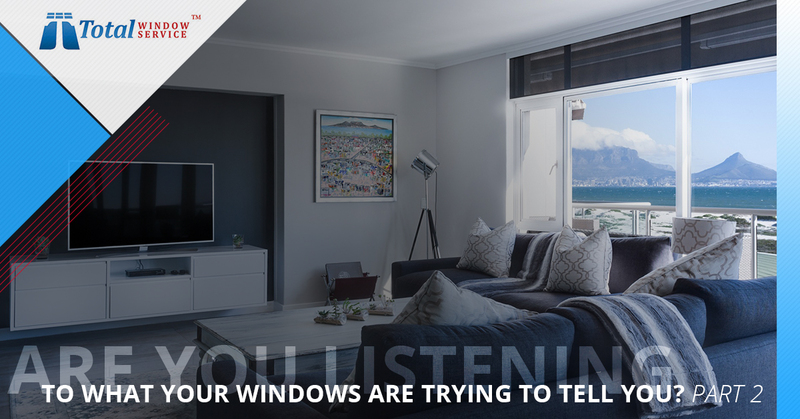 You can learn a lot about your windows, and about your home in general, when you listen to what your windows are trying to tell you. And, we hope that this blog series will help you learn what to watch out for so that you can get any necessary window repairs, restorations or replacements right away. At Total Window Replacement, we’re proud to be New York City’s go-to window restoration company, and while we won’t be able to repair or replace your windows, we can help to restore them from scratches, graffiti and even oxidation. To learn more about our window restoration services, give us a call today!